Submitted by mark on Wednesday, December 19th, 2018 at 9:27 pm. Visitors to Heritage New Zealand Pouhere Taonga’s properties in Aucklandcould be in to win some special prizes in a photo competition running over the holiday break. 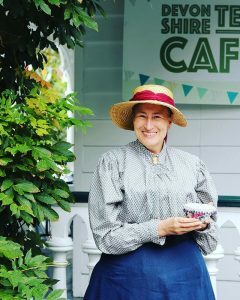 From Boxing Day, Heritage New Zealand will run a ‘Picture Postcards’ series of Facebook posts celebrating some of the cool properties Heritage New Zealand cares for on behalf of all Kiwis – including Highwic and Alberton in Auckland. Punters can drop a photo into any of the ‘Picture Postcards’ posts of them and their family and friends at one of Heritage New Zealand’s properties and go in the draw to win a copy of Landmarks – notable historic buildings of New Zealandby David McGill and Grant Sheehan. Submitted by mark on Thursday, July 5th, 2018 at 4:36 pm. A selection of Baroque music will be performed at Alberton, the historic mansion cared for by Heritage New Zealand Pouhere Taonga on July 29 (5pm). Performed by NZ Barok, New Zealand’s only period instrument orchestra, Melody and Musings: A Baroque Parlour Concertwill feature masterpieces by composers like Purcell, Vivaldi and Bach, as well as some lesser-known musical treasures from the 18thCentury. Using instruments and playing styles of the period, the musicians will perform the compositions much as they would have sounded several centuries ago, while breathing fresh life and vitality into the pieces. 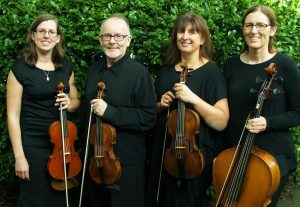 “The one-hour concert has been put together with a general audience in mind, and it promises to be a light-hearted and extremely enjoyable sampler of some Baroque gems – complete with anecdotes from history,” says the Manager of Alberton, Rendell McIntosh. Tickets: Adults - $30; children, seniors and Heritage New Zealand members - $20. Tickets include refreshments and house entry. To book, or for more information, Ph 09-846-7367. Submitted by mark on Thursday, June 21st, 2018 at 5:43 pm. 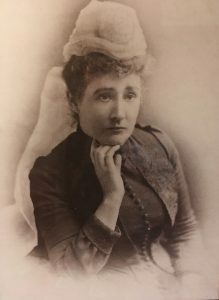 Alberton, the historic mansion cared for by Heritage New Zealand Pouhere Taonga, has a new exhibition for its Collector’s Cabinet series – a sample of dolls dating from the 1880s to the 1950s. Belonging to Auckland collector Karen Staniland, the dolls are rocking designer dresses and hand-made outfits – and have become the undisputed stars of Alberton’s Ballroom. Karen’s lifelong love of dolls began with a pink plastic Kewpie given to her as a toddler. She now has 300 dolls as well as miniatures and teddy bears. To learn more about Karen’s collection, along with the art of restoring antique and vintage dolls, join Karen for an informal talk and afternoon tea on Sunday 24 June at 1.30pm. Admission free with regular admission to Alberton (Adults $10; children free). No booking required. Submitted by mark on Wednesday, May 9th, 2018 at 8:50 pm. Fresh flowers, vintage tea-cups and glassware, and the traditional handicrafts of felting and crochet will come together at Auckland’s Alberton this May as part of a programme of activities for Mother’s Day. Founded in 1908 by American Anna Jarvis following a memorial service for her mother (a US Civil War nurse and peace activist), Mother’s Day was formalised as a celebration of all mothers in 1914 and took off around the world. Jarvis, however, soon became disillusioned with the commercialisation of the holiday by retailers and card companies and urged a boycott. Instead of buying gifts and pre-made cards she insisted mothers should be honoured with handmade cards and letters expressing love and gratitude. In that spirit, participants at Alberton’s workshops on 12 and 13 May can make things for and with their mums, learning floral art, felting, embroidery and beading or extending their crochet skills. The workshops are followed by afternoon tea and include entry to explore the house. 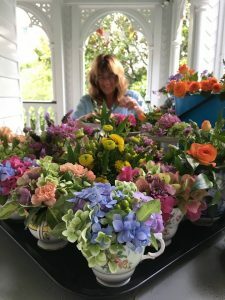 10:30am: Vintage Tea-cup and Glassware Arrangements with Olwyn Bertram-Ellison, Floral designer and Alberton’s Gardener. $55 (2 hours). 10:30am: Beaded Crochet Bowl/Jug Cover with Megan Mills, heirloom sewer and teacher of traditional handicrafts. $40 (3 hours). 10:30am: Felted Embellished and Beaded Cards with Evelyn Davis, Artist, Storytelling Threads. $45 (2 hours). Submitted by mark on Thursday, February 2nd, 2017 at 8:10 pm. Tourist Auckland heritage attractions, Highwic in Newmarket and Alberton in Mt Albert, will be open free of charge to celebrate Waitangi Day on 6 February – with a special display featuring at Highwic. The Heritage New Zealand cared-for properties are part of a nationwide celebration of New Zealand’s national day, with 13 other Heritage New Zealand staffed properties opening their doors on the public holiday. “Visiting both properties would be a great way to spend your Waitangi Day,” says Heritage Destinations General Manager Nick Chin. Submitted by mark on Wednesday, December 21st, 2016 at 4:49 pm. Two of Heritage New Zealand’s staffed Auckland properties - Alberton, in Mt Albert, and Highwic, in Newmarket - will be open free of charge as the country marks its national day, Waitangi Day, on 6 February next year. 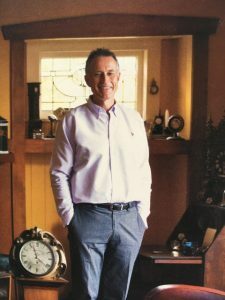 “We are delighted to be opening our doors for the public to come and visit a part of their heritage and history at our properties,” says Heritage Destinations General Manager, Nick Chin. Submitted by mark on Tuesday, September 20th, 2016 at 9:55 am. Alberton, the historic mansion in Mt Albert cared for by Heritage New Zealand, will feature in upcoming Auckland Heritage Festival events. Both events will feature fresh, home-made jam – in differing measures. “This year we are delighted to welcome gardening guru, columnist and presenter Lynda Hallinan who will present a talk entitled A Jam Session With Lynda Hallinan (Sept 25, 2pm). 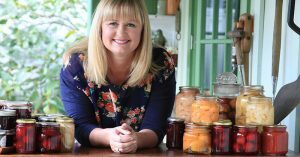 Here, Lynda will share her experiences making over 500 jars of jam and jelly in 52 weeks using everything from spring strawberries to Autumn quince,” says the Manager of Alberton, Rendell McIntosh. Cost: $6 per person; includes two scones with cream and Jam; and tea or coffee. Entry to the house $10; children and Heritage New Zealand members free.